A Catalyst article about fainting and how it can be the result of a sudden drop in blood pressure, which is often part of a shock reaction. Maintaining blood pressure is an important part of keeping the human body in balance. This article examines hypertension, living with high blood pressure, and the relationship between blood pressure and the kidneys. 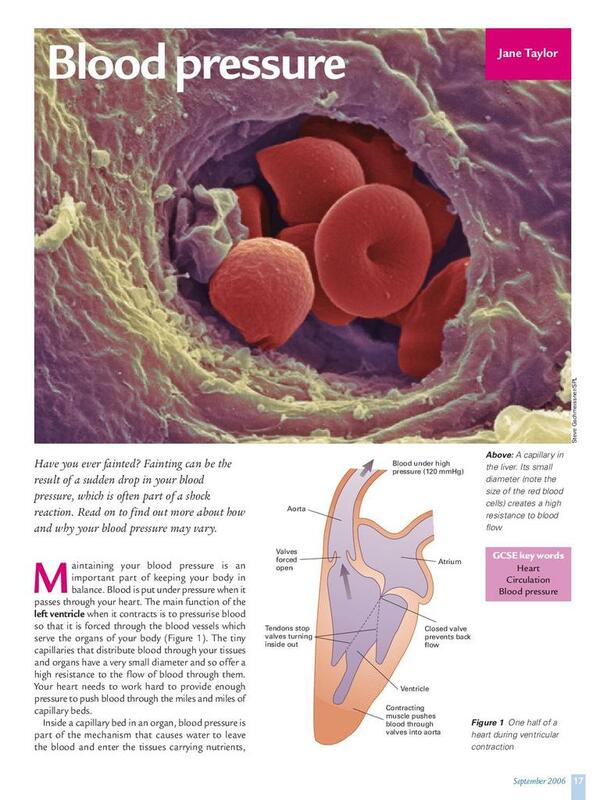 This article is from Catalyst: GCSE Science Review 2006, Volume 17, Issue 1.